It’s over: see you October 2015! Keep following #sumpont2014 for the pics. The first ones, including the one you see in the banner, are courtesy of François Pierre-Louis. 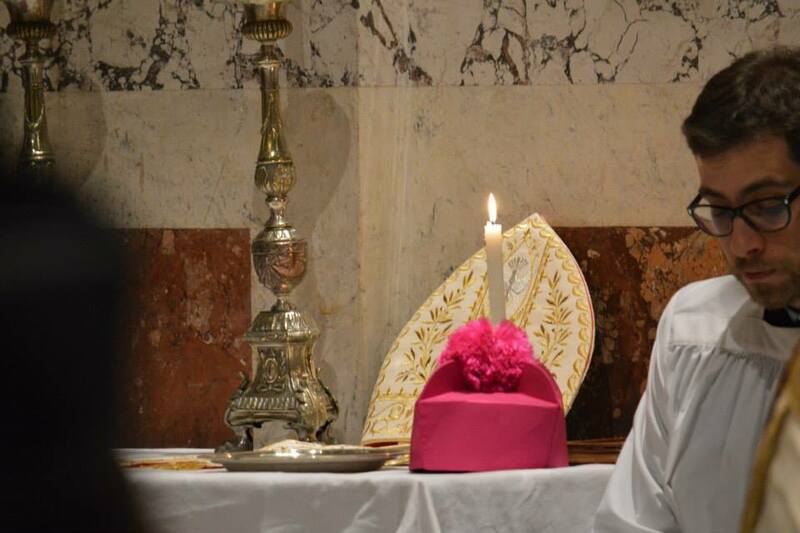 Pontifical Vespers at the Trinità dei Pellegrini, October 23, 2014. The easiest way for all pilgrims to enter St. Peter’s basilica for cardinal Burke’s Solemn High Mass on Saturday, October 25, is to join the procession that will leave from San Lorenzo in Damaso after the Eucharistic Adoration. • finally, please remember to stand and walk two abreast. For the procession to proceed properly a lot will depend upon the lay faithful, who will be asked to walk four abreast throughout the whole procession and to sing when required. 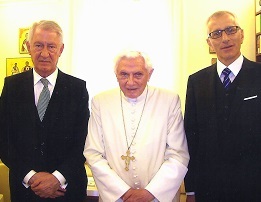 Since the lex orandi is an expression of our lex credendi, if we do things properly we will show the fervour of our life of prayer. 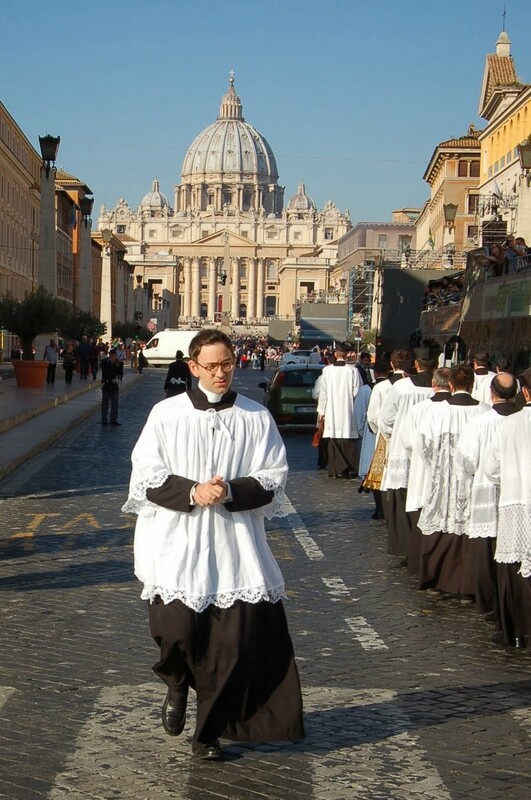 Don Marc Haussman, the priest in charge of the procession towards St. Peter’s. 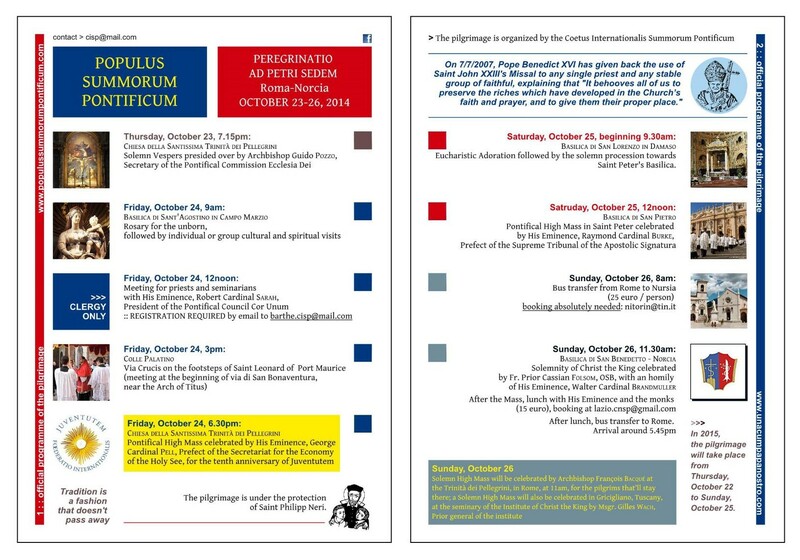 Click and enlarge to see the events in Rome and Norcia. The flyer presenting the programme of the pilgrimage is available here.